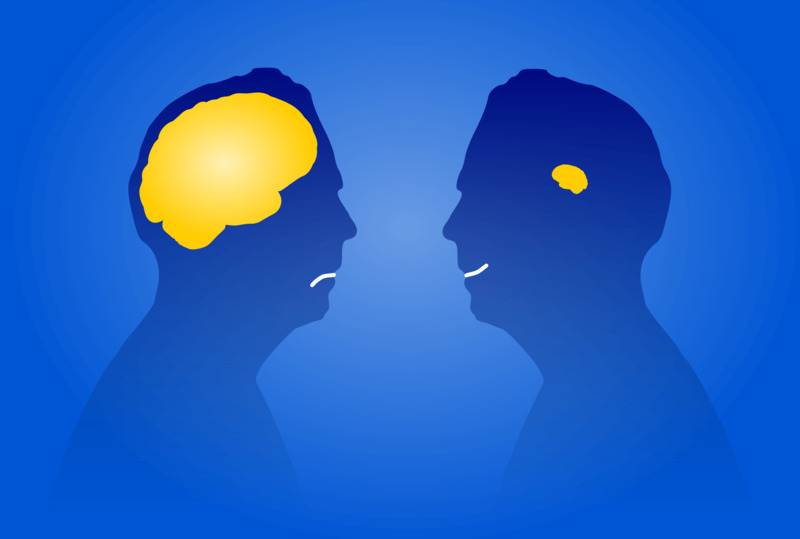 Advice Home > General > What Is The Dunning-Kruger Effect And Why Does It Matter? The Dunning-Kruger effect is a term you may have heard being thrown around a few times, but you may not understand what it is. In this post, we're going to look at what the term means, the science and history behind it, and whether or not you're going through the Dunning-Kruger effect. Have you ever ran into someone who is incompetent at what they do? If they're an artist, they may not know the first thing about anatomy? If they're a car mechanic, the car will come out more broken than it originally was. If they're a businessperson, their business will go into the red faster than a man skydiving into a pool of red paint. However, that's not what's bad about them. Some people will realize they are bad at their job and will either try to learn from their mistakes and improve or try something that they're better suited for. However, someone who is experiencing the Dunning-Kruger effect may believe they are doing a great job. The worst part of the Dunning-Kruger effect is how delusional the person is. They may receive a point by point breakdown of why they're bad at their job and brush it off as someone being a hater, or not understanding their performance. Everything bad they do is blamed on someone else. You've probably known someone like this, or know someone else who has experienced it, and it can be frustrating. Sometimes, it's not even a job, but instead knowledge on a subject. On social media, we've all seen someone who is suddenly an expert on a political event just because they shared a meme or an article about the event. They didn't take the time to look further into their post, but instead, they believe that they have all the knowledge and everyone else is uninformed. Sometimes, a person may think they know everything about their religion but may have only read a few chapters in their holy book. The term was created in 1999 by psychologists David Dunning and Justin Kruger. 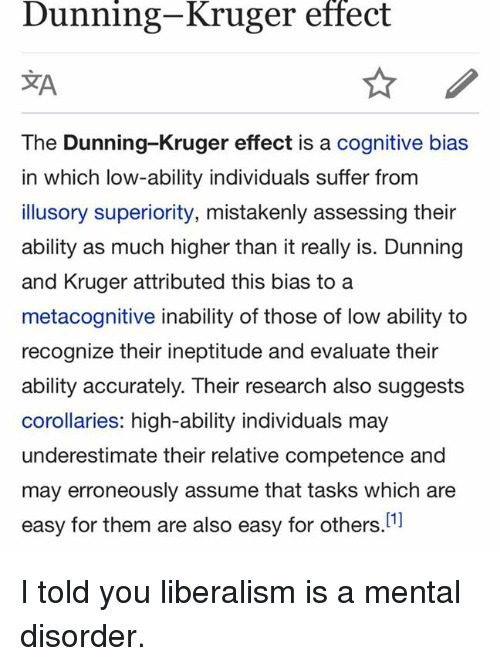 Their study, Unskilled and Unaware of It: How Difficulties in Recognizing One's Incompetence Lead to Inflated Self-Assessments, went into detail about the Dunning-Kruger effect. 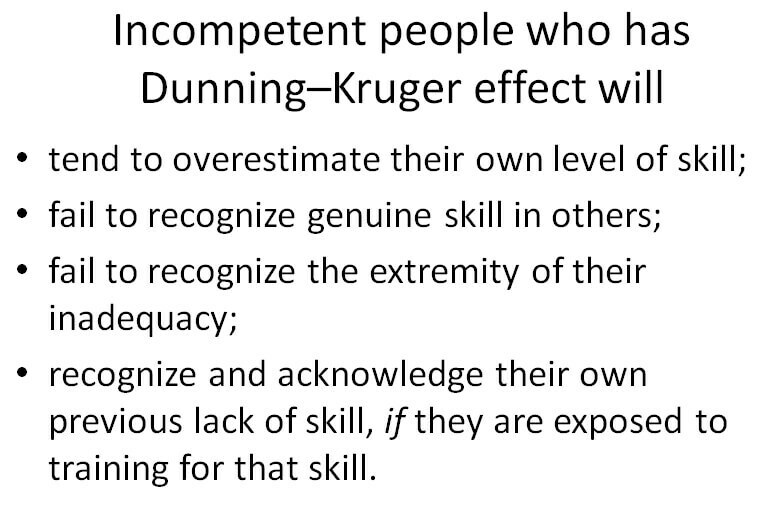 The idea that arrogance masks incompetence has been around for far longer than two decades, but Dunning and Kruger wanted to study it in more detail. The case of McArthur Wheeler inspired them. He was a bank robber. When it comes to bank robbing, most robbers will cover their faces with a ski mask or another mask. However, Wheeler had a different idea, one that seems straight out of a cartoon. He put lemon juice on his face. Now, why would he do that? Lemon juice can be an invisible ink, so he believed that by putting it on his face, he could make his facial features invisible. As you can imagine, he was captured quickly, and he was shown video surveillance of him robbing the bank. His face was easy to recognize, and he was shocked that his plan didn't work. How could one be so incompetent? Even if you have a belief that lemon juice could conceal your face, wouldn't you at least use a mirror to test that belief out before you rob a bank? To many, this is quite puzzling. Was Wheeler this delusional? Dunning and Kruger sought to find the answer, and their coined effect has been popular ever since. Dunning and Kruger tested their theory by giving students different tests on different subjects. Beforehand, they asked the students how they thought they would do on the tests. As it turned out, those who believed they would pass the test with no problem ended up scoring lowest. Meanwhile, the highest scorers were those who believed they wouldn't do so well on their tests. The phrase "You are your worst critic" comes to mind. The Dunning-Kruger effect comes from the idea that if someone has basic knowledge on a subject, they're suddenly an expert. For example, someone who takes a second language class may believe they are a fluent speaker of that language. When it comes to the tests, if you believe you're knowledgeable on a particular subject, you may feel like you don't need to study. However, if you believe you won't do good, you may end up studying more, which can lead to better test scores. This applies to any profession. Someone who believes they are good at art may think so because they took an art class and learned a few rules about how to draw. They then believe they have mastered the craft, don't make any efforts to improve, and then shoot down their critics. This concept has been repeated throughout history. Confucius said that "Real knowledge is to know the extent of one's ignorance." Shakespeare believed that "The fool doth think he is wise, but the wise man knows himself to be a fool." It seems that since the dawn of modern human civilization, there have been incompetent people who are delusional about their skills, and skilled people who believe they are incompetent. One reason for the Dunning-Kruger effect may be due to the culture we live in. In some countries, especially in Eastern societies, humility is important. They know that they are ignorant, and they strive to improve, self-correct, and never boast about their accomplishments. However, in many Western societies, confidence is more important. Instead of looking at the person who is unsure about themselves and is quiet, we look to the person who is confident in their skills despite having little to show for it. We all know politicians, celebrities, and other public figures who many would argue are not too good at their job, but their arrogance and confidence got them to where they are today. Those who are experiencing the Dunning-Kruger effect may believe that if they are confident, they can succeed. Confidence is important, but it can sometimes be blinding, and this can lead to you believing you know more than what you know. One reason why someone may be experiencing the Dunning-Kruger effect is that they're not trained to be self-aware enough. Some people live on autopilot. They never stop and think about what they're doing and the consequences that can come with it. They may not compare their knowledge to what an expert in the field knows. Meanwhile, someone who has low expectations may be too overly critical and self-aware. They know they've made mistakes in the past and they know that it's impossible for a person to know everything. However, they strive for improvement, and that's why they succeed. One way you can be more self-aware is to practice mindfulness techniques. Perhaps the best way to fix the Dunning-Kruger effect is for people to fail. Someone who believes they're good at something may soon realize that they know less than they originally thought. For example, a person who believes they are good at fighting someone because they once took a boxing class will soon realize they're not that strong after they try taking on a boxer and lose. A bit of education is needed for some people to realize that they are not as knowledgeable as they'd like to believe. With that said, however, sometimes people do not learn. When they fail, it's the fault of someone else and not them. We've all met those people. They don't want to improve but instead are happy with what little knowledge they have at the moment. For highly delusional people, it may come from trauma in the past, or that's just how their brain was wired. Sometimes, therapy may be needed for people to realize just how incompetent they are. Sometimes, you realize that you aren't as competent as you are. Other times, you have a hard time shaking off your delusions of grandeur. Regardless of your belief, a therapist can be there to help you. If you have trouble with your delusions, a therapist can help you learn how to show humility and stop yourself. You'll learn how it's okay to admit that you don't know everything there is to know and learn how to strive for more information. 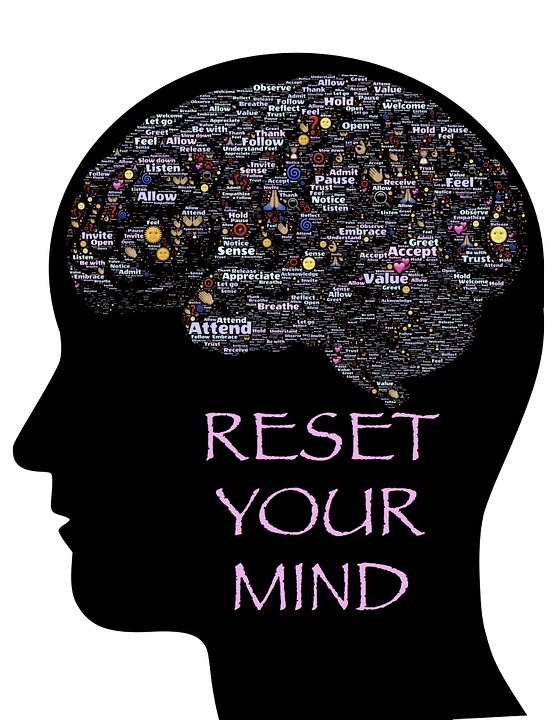 If you want to improve yourself on a subject, a therapist can help you learn ways to accomplish your goal. They can create a plan for you to complete, a plan consisting of multiple steps that are easy to accomplish and are adjustable for your needs. It's okay to admit you don't know everything. From birth until the very end, we are humans; humans are flawed creatures. Our knowledge of the world has grown a lot in the past few centuries, but we are far from knowing everything. We may never have everything figured out even until the end of humanity. And that's okay.